This outfit is very different from what I normally wear, for a start I'm not wearing black tights which I live in. I always love how Liv styles a classic striped top but I don't own any trousers so I paired mine with a black pencil skirt and my favourite shoes. I think this is a fairly chic look for work for me considering I sometimes turn up in converse and a hoody. 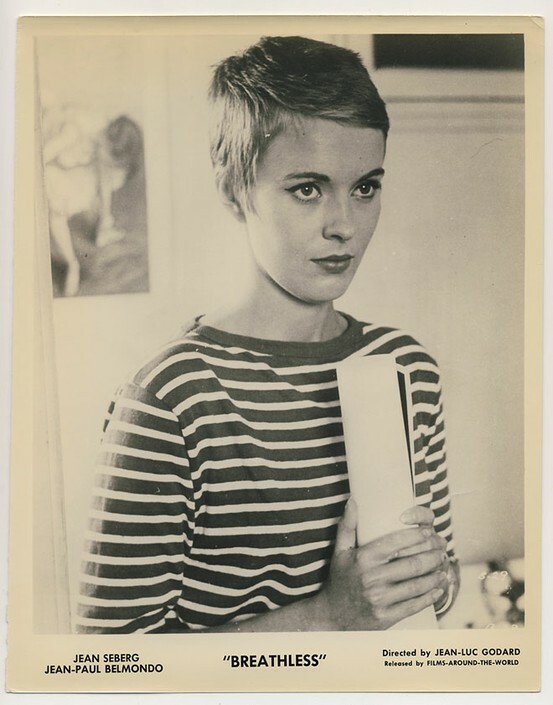 I've been reading up on the history of the Breton stripe and it's fascinating. It was originally worn by French navy seamen in Brittany and the original design featured 21 stripes, one for each of Napolean's victories. It was then appropriated by Coco Chanel in her nautical collection and has been worn by some of my favourites like Jean Seburg, Edie Sedgwick and more recently Alexa Chung. 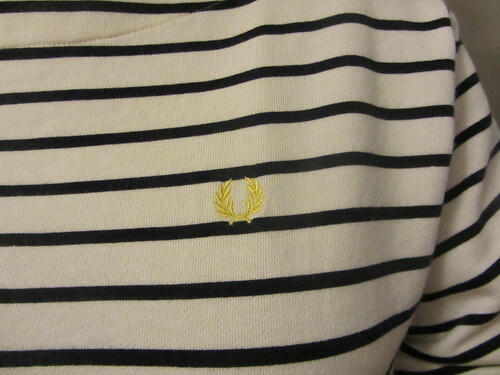 I don't think I carry off stripes with quite the same finesse as Jean but I like my very British and Fred Perry taken on the look. I'm currently in Norbury Manor with some of my favourite blogging people eating cake and frolicking around. Hope you're all having a lovely weekend! you pull it off nicely, whats not to love? You're looking so small! Collarbones! Love these stripes. Love how you've styled this look!